In January at the TCA winter press tour, Sarah Gadon said something that brought out the boomer in me. Gadon appears opposite James Franco in 11.22.63, a nine-hour limited series based on the Stephen King novel of the same name. The series premieres Wednesday, February 17 at 9 p.m. ET in Canada on on Super Channel with a special two-hour premiere. King’s 850-page bestseller explores what might happen if you could go back in time–as Franco’s school teacher character does–and try to stop the assassination of U.S. president John F. Kennedy. Franco was on stage at the Langham in January during press tour along with executive producers J.J. Abrams, showrunner Bridget Carpenter and co-stars Chris Cooper, Josh Duhamel and Sarah Gadon. Now, Gadon is just 28. She grew up in Toronto, Yonge and Lawrence to be exact. The 9/11 attacks were half her lifetime ago. JFK was shot 24 years before she was born. Still, I can attest that the Kennedy assassination rocked Toronto that November of ’63. I was very young, in a Grade One west-end Toronto classroom at the time. I remember the teacher in tears, wheeling in the boxy, black and white TV that sat high up on the chrome stand. There was a portrait of Catholic president Kennedy that hung in the hall of that Canadian, Catholic school I attended. (Diefenbaker’s Bill of Rights was framed and in the hallway too, but no photo of The Chief). We were let out early that day and I remember the grim headlines in the afternoon editions of The Star and Telly. To this six-year-old, it seemed as if our leader had been killed. Then, everything you usually watched on TV was preempted for days of Kennedy coverage. Abrams, 49, was born three years after Kennedy was killed. At TCA, he talked about the thrill of getting to know his idol, Stephen King. 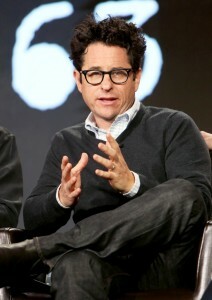 “I’ve been a fan of Stephen King’s since junior high school when I read ‘Night Shift’ and ‘The Dead Zone,'” said Abrams. King had been a fan of Lost and got to know Abrams during the making of that series. He told reporters about the time he and Lost producers Damon Lindelof and Carlton Cuse went to Maine to visit King. Later, at King’s suggestion, they all went out to see a horror movie afterwards. King wasn’t the first to come up with this idea of a time travel intervention to save JFK. In 1992, a two-part storyline of the series Quantum Leap had a similar premise. It was also the plot of an episode of the 1985 revival of The Twilight Zone. I thought the old 1966 Irwin Allen series Time Tunnel had gone down this path, too, but apparently not. The assassination was probably too fresh at that point. The series 11.22.63 was mainly shot in Hamilton, Ont., with some key scenes shot on location in Dallas in Dealey Plaza when Kennedy was fired upon that dark day in November. Read more here at this feature I wrote for The Canadian Press.